What’s more fun than ice skating in 70 degree weather? Imagine strapping on your skates and gliding over the ice creating lasting memories with family and friends through laughter, fun and yes even exercise. Add to that image, sparking holiday lights and music as you round the rink under the stars. 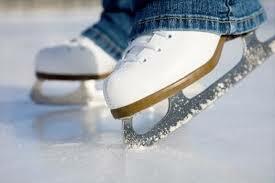 Discover the holiday spirit a whole new way, ice skating in downtown Redlands. For the first time ever there will be ice skating at the Redlands Mall. center of town. Both daytime and evening skating will be available from December 26th through January 1. 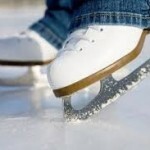 Skates will be provided for those eager to show off their triple salchow jump, their ice dancing skills or just try to maintain balance for the first time. Redlands on ice is a new adventure in holiday celebration that will bring young and old, resident and visitor, to downtown Redlands. Reminiscent of a time gone by where good old fashion fun can be found in the center of town, where neighbors meet neighbors, and friends come together to create lasting memories for years to come. Watch for more details, skate times and special events.